The previous chapter has been devoted to solving point and posture tracking problems by state feedback linearization for the five generic types of wheeled mobile robots. 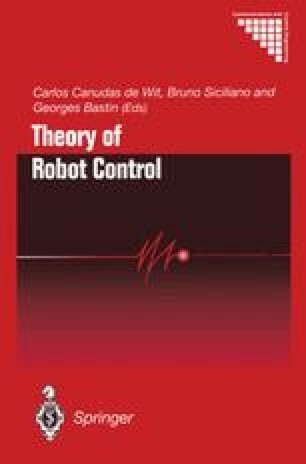 However, as it has been already mentioned, feedback linearization through regular controllers has serious limitations for control of mobile robots. In particular, it does not allow a robot to be stabilized about a fixed point in the configuration space.